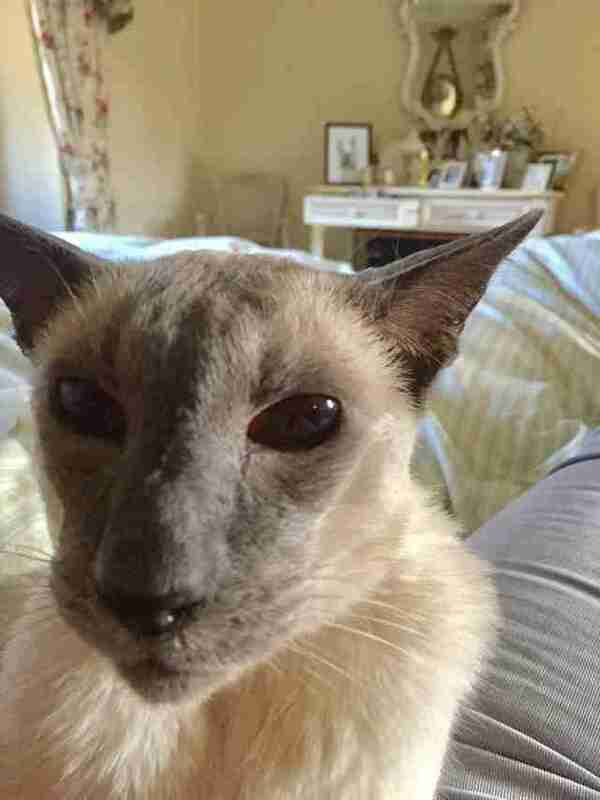 A 17-year-old Siamese cat named Ricky loves getting attention — and he's not at all shy about asking for it. But Ricky has good reason for being a little demanding, too. He has arthritis, and so getting stroked also helps him feel more comfortable. Therefore, Ricky's demands for constant petting have become underscored with a bit more urgency recently. 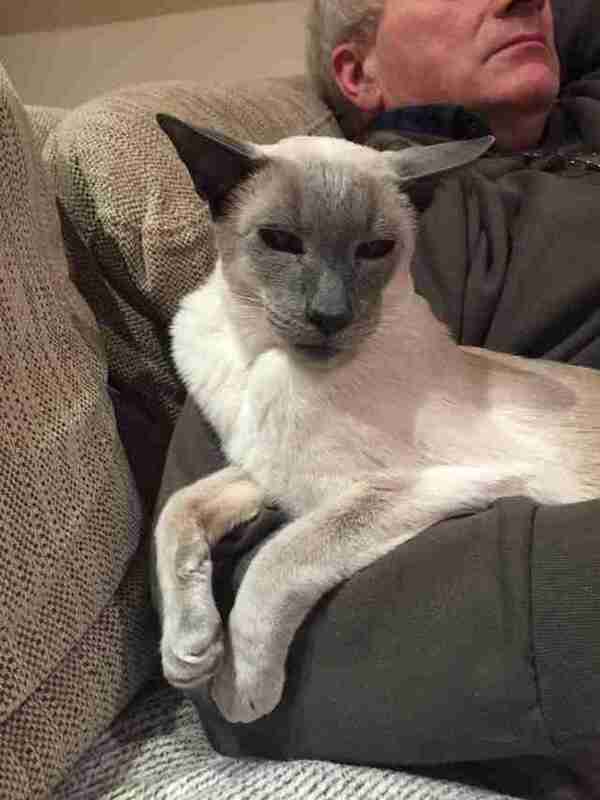 "He follows my mum around the house miaowing till she strokes him so she thought this would help," Felicity Morse, her daughter, wrote this week. Oh, yes. His belly is in perfect proximity to his human's stroking palm. 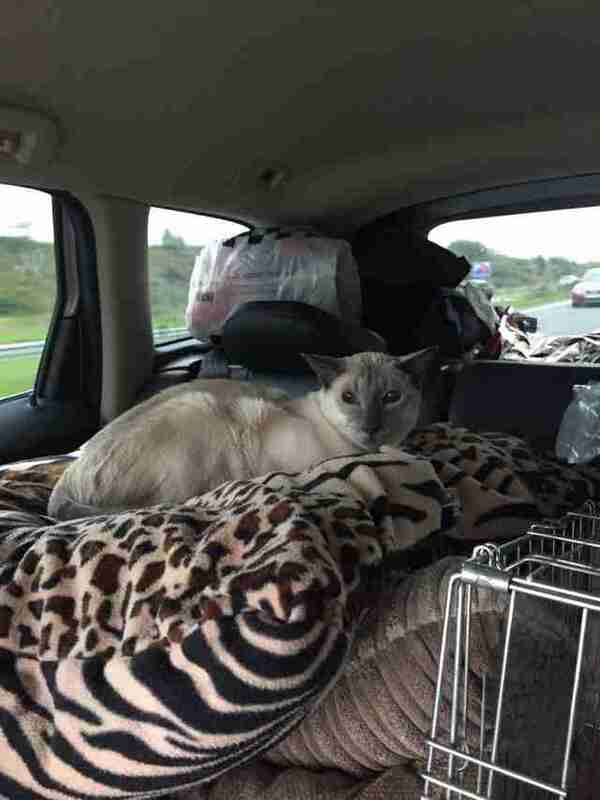 His eyes narrowed to that self-satisfied feline squint and he instantly relaxed. "[My mom] invented this sling so he feels comforted and less lonely," Felicity Morse told The Dodo. 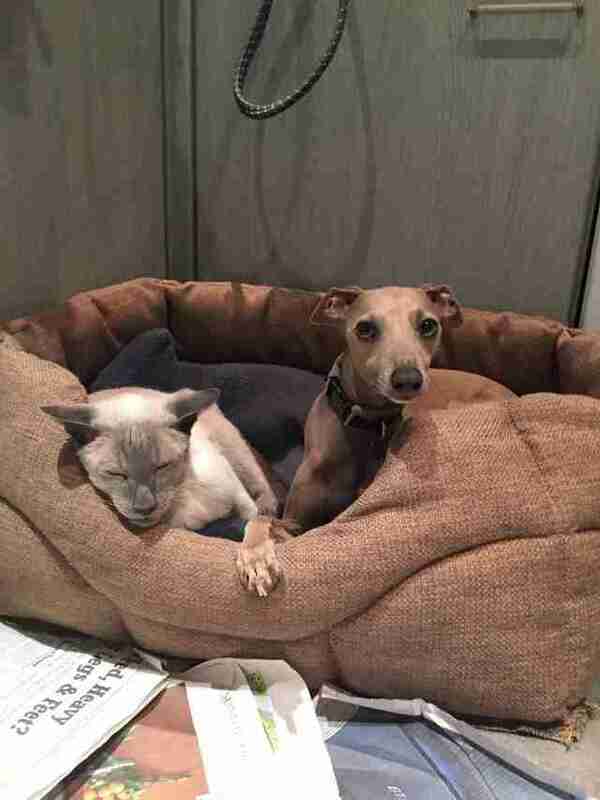 "The warmth and cuddles really help his arthritis." Ricky has been a member of the family for his whole life — he's used to being pampered by them and included in pretty much everything they do. Thankfully his people understand that just because he's getting up in years, Ricky shouldn't have to be left behind. "He’s so gentle and chilled," Debbie Morse told The Dodo. "He’s worth his weight in gold."